The St Petersburg Social Security office is located in St Petersburg 33701. The following page includes information for this location like the office phone number, hours of operation and driving directions. If you have any interests or comments about your retirement benefits or are interested in making an appointment, call the following St Petersburg Social Security office. The St Petersburg Social Security office is located at St Petersburg 33701. The Florida SSA regulates a variety of federally run programs like retirement, SSI, Medicare and disability benefits. The following page contains useful contact information for this location such as the Social Security office phone number, hours of operation, and driving directions. 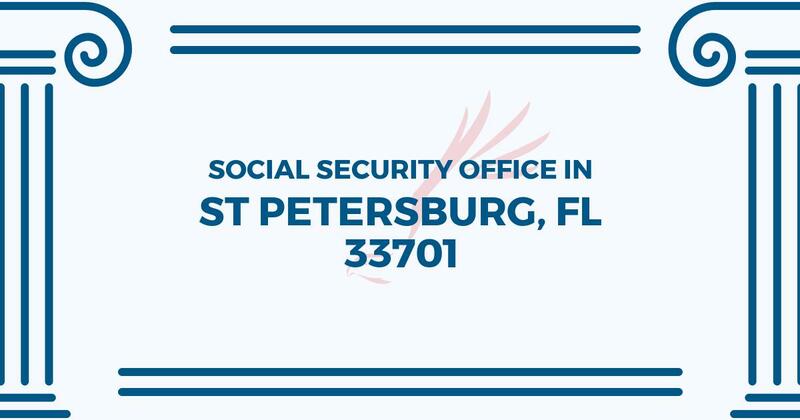 If you have any concerns or questions about your retirement Social Security benefits or interested in scheduling an appointment, call the following St Petersburg Social Security office. My experience with this office is 2 fold. I have placed several calls without any return call. I physically had to go to the office twice to get some answers to my claim. The gentleman at the window was as helpful and polite as he could be but the internal person working on my case has yet to complete her portion to process the claim. I was told I should receive a letter within 10 days as the claim has been processed but according to the web site it has yet to be processed. Cannot find any other number to call and report this or complain other than this web site review.